See some of the best news photos from the last 24 hours. 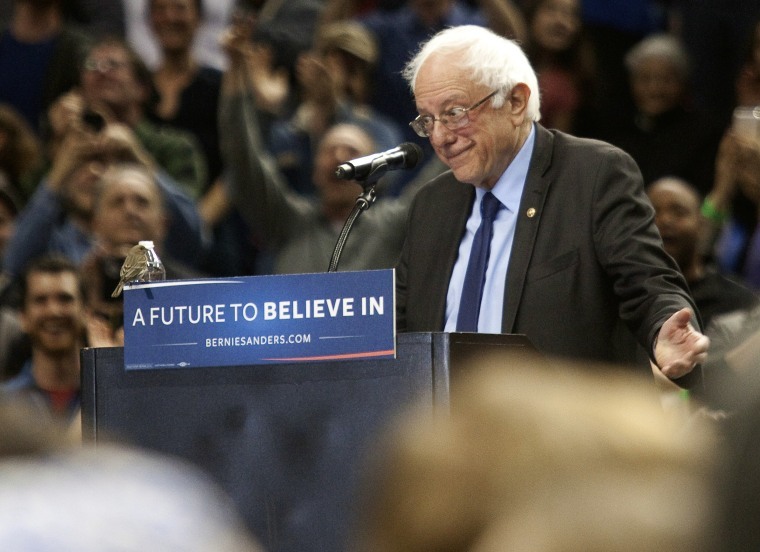 A bird lands on Democratic presidential candidate Bernie Sanders's podium as he speaks on March 25, 2016 in Portland, Ore. The Democratic Party hold caucuses in Alaska, Hawaii, and Washington today. 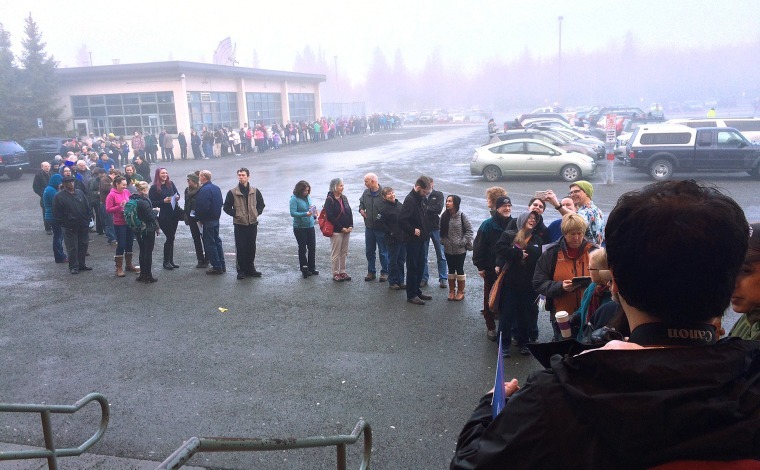 A long line of Alaska Democratic Caucus goers extends out the gym door at West High School in Anchorage, Alaska early Saturday morning on March 26, waiting for the venue to open. 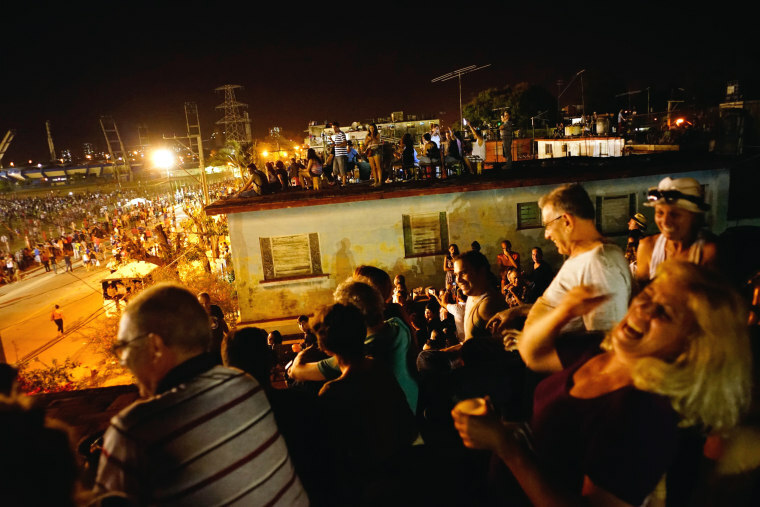 People enjoy watching the Rolling Stones perform, on the terraces of their houses near the concert venue, in Havana, Cuba on March 25. 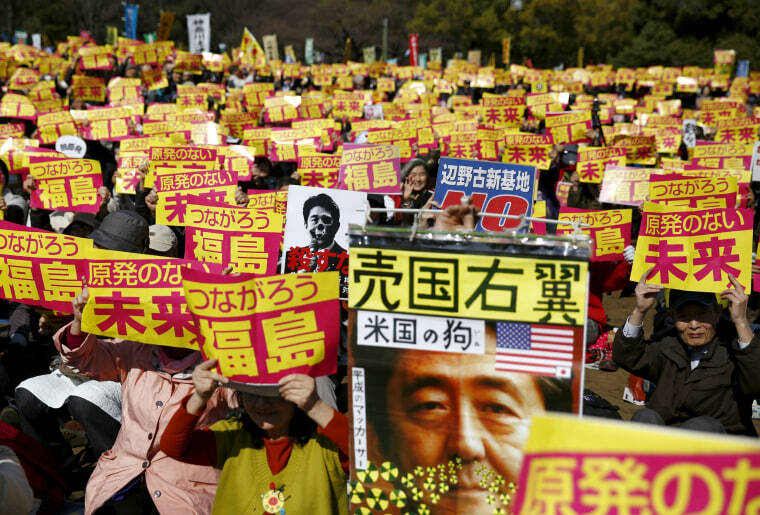 People hold placards with anti-nuclear energy slogans during No Nukes Day, a protest calling for a nuclear-free future in Yoyogi park in Tokyo, Japan on March 26. The writing above the picture of Japan's Prime Minister Shinzo Abe reads, "Right Wing Sell-Out Nation" and "America's Dog." 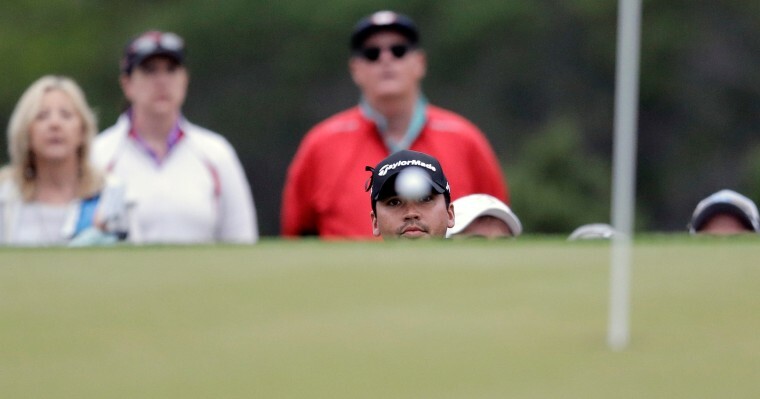 Jason Day, of Australia, watches his ball after chipping to the first green during the round of 16 play against Brandt Snedeker at the Dell Match Play Championship golf tournament at Austin County Club in Texas, on March 26. 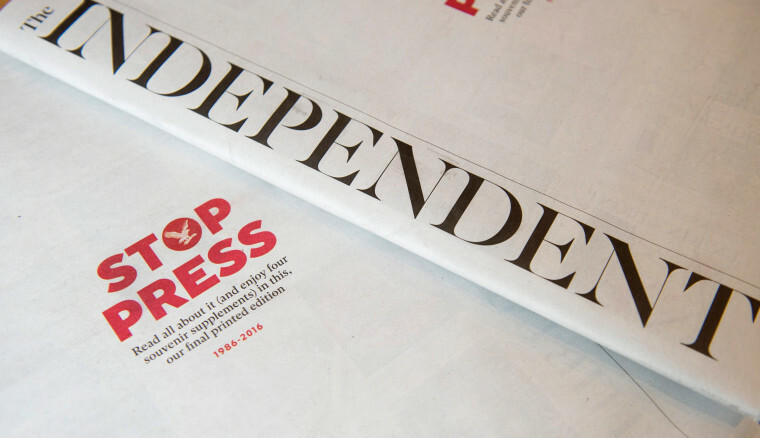 English newspaper the Independent released its last print edition on March 26, 2016. 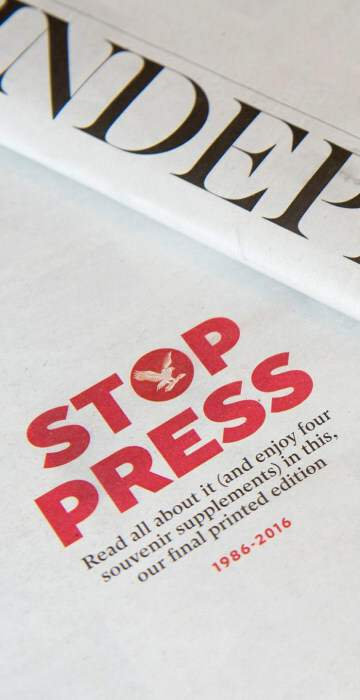 It will continue as an online newspaper. Houthi followers sit on the back of car with Yemen's national flag before they attend a rally marking one year of Saudi-led air strikes, in Yemen's capital Sanaa on March 26. 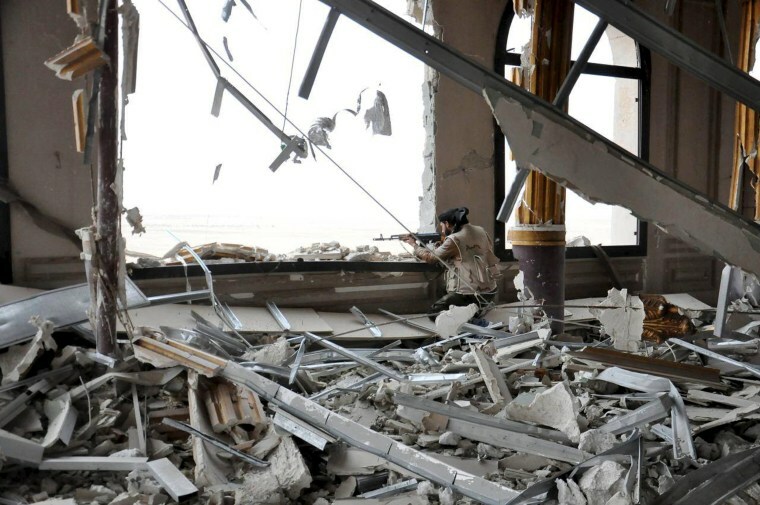 The Iran-allied Houthis are battling Saudi-backed Yemeni government forces. Iraqi security forces fire at Islamic State militants’ positions from south of the Islamic State group-held city of Mosul, on March 26. 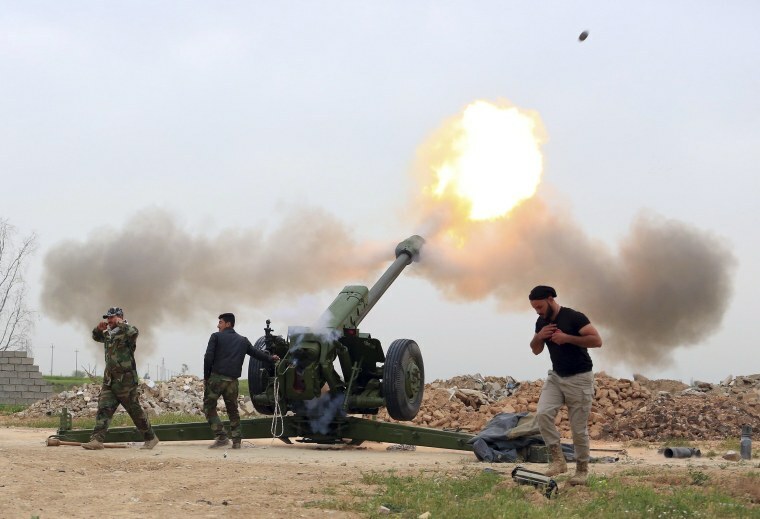 The Iraqi military backed by U.S.-led coalition aircraft on Thursday launched a long-awaited operation to recapture the northern city of Mosul from Islamic State militants, a military spokesman said. A member of forces loyal to Syria's President Bashar al-Assad takes a position inside a palace complex during their offensive to recapture the historic city of Palmyra on March 24. 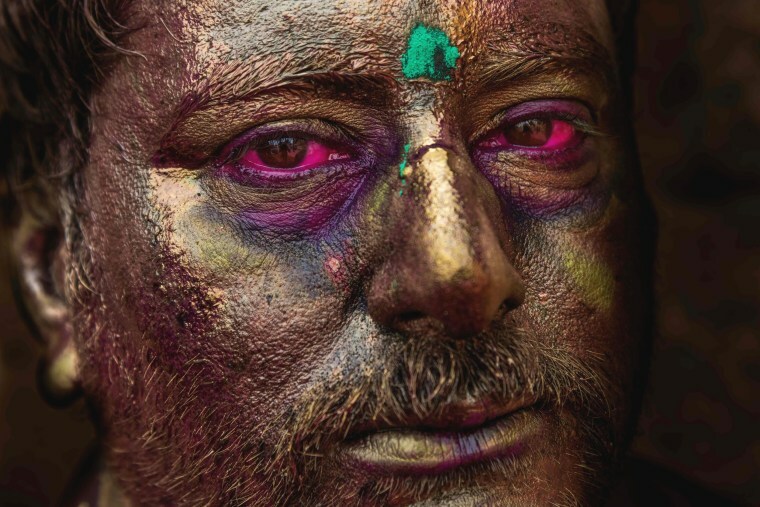 A reveler, his face painted in gold, poses with red eyes during the Holi Festival in Jaisalmer, India on March 24, 2016.